TeamPOS Retail Edition is a robust Point-of-sale application which caters to the challenging need of singe or multi-location retail outlets and super markets in a dynamic environment with robust, multi-linguistic, and user-friendly application. 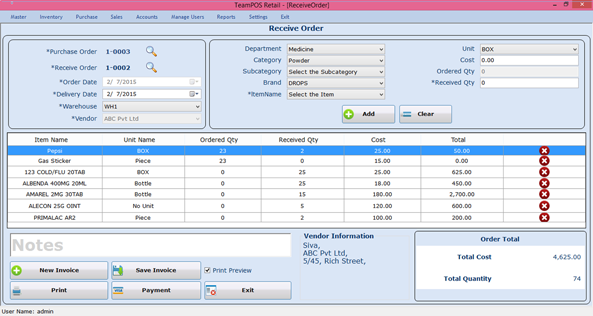 TeamPOS Retail Edition is a robust Point-of-sale application which caters to the challenging need of singe or multi-location retail outlets, super markets, and restaurants in a dynamic environment. Ever-increasing aggressive pressures, wafer-wiry margins, high tenure costs, and unstable supply base are present challenges to retailers in attaining operational effectiveness and profitability. ProTeam not only understands these business challenges, but also offer solutions to help retailers efficiently deal with them. ProTeam is a leading POS solutions provider to various establishments across the globe and provides end to end solutions for retail automation, retail sales and inventory management, products management and planning. Our in-house retail expertise and support is second to none. Whether you are a single shop or represent a large retail organization with nationwide branches, TeamPOS Retail Edition Solutions is the answer for your needs. 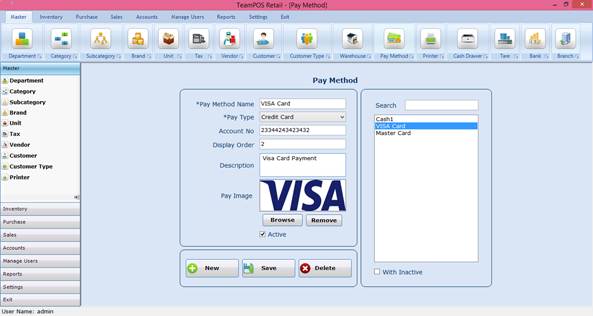 TeamPOS Retail Edition is highly compatible, user friendly and affordable POS application. 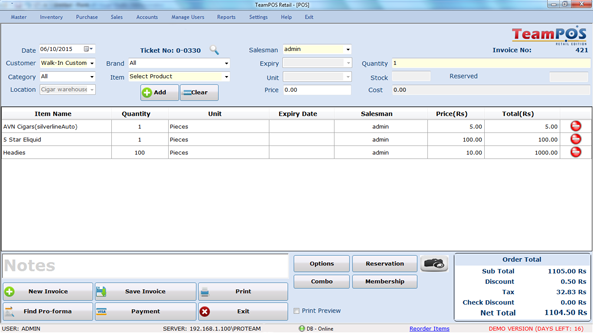 This computerized application provides a seamless integration to perpetual stock control for the item type like goods, second hand item, meals, rentals and labor. TeamPOS is a revolutionary touch-screen based hybrid point-of-sale application designed for your restaurant. What makes TeamPOS unique? It is the ease of use. It requires almost no time to learn..
ClearCut Ticketing is a full-fledged point-of-sale application which is designed especially for the entertainment industry. ClearCut Operations, based out of New York, USA, a pioneering company in this space choose..
Innsys RMS is a highly comprehensive Hotel/Property Management Application specially designed for the Hotel/Resorts/Service Apartmen..
Bevo POS - the first hybrid system especially designed for the hospitality industry! Bevo utilizes a cross platform product that works on Android, iOS, iPad, and Windows without ..
TeamPOS Android Hospitality Edition is a revolutionary touch-screen based hybrid point-of-sale applica..